Google has announced that Fossil Group has agreed to sell the company its $40 million worth of smartwatch technology, which is currently under development. The deal includes “a portion” of Fossil Group’s Research and Development team, which will now work for Google, and also the IP (intellectual property) Fossil has developed. However, it was not mentioned exactly how many staff members are headed to Google. Fossil Group is currently one of the most popular Wear OS smartwatch makers in the market. The Wear OS is Google’s interface that allows running applications built only for a small screen. This strong move from Google has hinted that it plans to keep developing Wear OS as well as other wearable technologies. The deal is expected to close in February and it is pretty obvious that it will help the tech-giant to improve its capabilities on the software and hardware part. Greg McKelvey, EVP and chief strategy and digital officer of the Fossil Group said that he likes to call the deal as a transaction, not as an acquisition. He also mentioned that Google is acquiring a new product line that is based on the technology, which evolved from the Misfit-Fossil acquisition back in 2015. 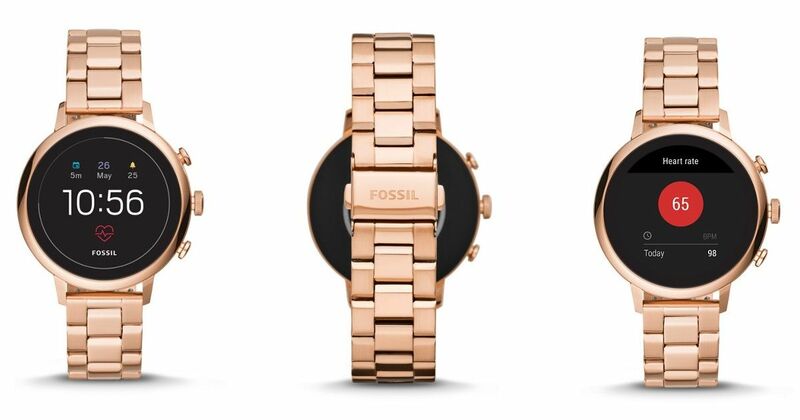 He said, “It’s based on something out of our timeline, it’s new to the market technology and we think it’s a product that has features and benefits that aren’t in the category today.” Right now, Fossil Group is focused on finishing the development of the product. Google, on the contrary, has cleared that it will be licensing out the technology to other partners in the wearable ecosystem.